This guide provides step by step instructions on how to generate a CSR code and install an SSL Certificate on IBM HTTP server. After you complete the SSL installation, keep reading to discover a few interesting tidbits about IBM’s history. 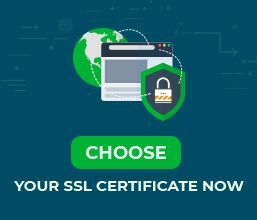 Finally, at the end of this article, we reveal the best place to shop for SSL Certificates for your IBM server. If you’ve already generated your CSR code, you can jump straight to the installation instructions. For faster navigation, use the links below. Where to buy the best SSL Certificate for IBM HTTP servers? The Certificate Signing Request (CSR) is a piece of encoded text containing your contact information. To apply for an SSL Certificate, you must create your CSR code and then send it to your CA for validation. Along with the CSR you will also generate your private key, an essential element of your SSL Certificate. You will need the private key during the installation process. You can open your CSR file with any text editor including Notepad and copy-paste its contents during the SSL order process with your vendor. Country: you can find your country-code here. That’s it. Now, you can copy and paste the CSR code, including the header and footer tags into your online SSL order on SSL Dragon’s website. After you successfully pass the SSL validation and receive the necessary SSL files in your inbox, proceed to the installation. Select the Certificate you want to add, then OK. First, add the root certificate, then the intermediate one. Select your primary SSL Certificate (your_domain.crt) and hit OK.
Congratulations, you’ve completed the SSL installation on your IBM HTTP server. To Install an SSL certificate on the IBM Domino server, you need to combine all your SSL certificate files into the same Key Ring that you used during CSR (Certificate Signing Request) generation. Specify the path of your primary certificate and click Merge certificate into Key Ring. Congratulations, you have successfully installed an SSL Certificate on your IBM Domino web server. 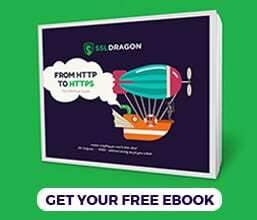 After you install an SSL Certificate on IBM HTTP server, it’s recommended to run a diagnostic test on your SSL configuration, to ensure that no SSL errors affect your site’s performance. With the help of these high-end SSL tools, you can get instant scans and reports on your SSL Certificate. International Business Machines Corporation (IBM) is an American multinational information technology company founded by Charles Ranlett Flint in 1911. Nicknamed Big Blue, IBM is one of the world’s largest employers with over 380,000 employees. IBM HTTP Server (IHS) is a web server that runs on the Apache Software Foundation’s HTTP Server. It is available for download and use free of charge but without IBM support. IBM Notes (formerly Lotus Notes) and IBM Domino (formerly Lotus Domino) are a collaborative client-server software platform offered by IBM. First released in 1989, IBM Domino is written in Java and CC+, and runs on Windows, OS X and Linux operating Systems. We bring you the best prices on the market and stellar customer support for any certificate you buy. And, if your struggling to find the perfect cert for your project, our SSL Wizard and Advanced Certificate Filter tools will give you quick suggestions.